To support the management of the LWC, the ILS has now compiled a register that shows all the Caps of the World that have been notified to the ILS. Our sincere thanks to Phill McGibbon of Australia for leading this project. 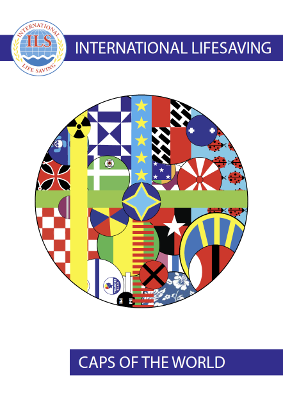 If your national team or club cap is not shown, please send the details of the colours and design to the ILS Event Director – j.martin@ilsf.org – for inclusion in the next edition of the Caps of the World. The ILS has set up a list of clubs that are affiliated to its member federations that may participate at Lifesaving World Championships (LWC). As more new clubs register to enter the next LWC in 2018 at Adelaide, South Australia, are added to the list for each federation. Each club, as it is added to the list is given a unique 3-letter code to identify it in the results management program that is used to run our events. To date there are in excess of 1,350 clubs on the ILS register. You can look for your club in the list to check the code given. If your club is not recorded, it may be because we have not obtained a list of clubs from your federation, or your club is a new club. If you wish your club to be added, please contact the ILS Event Director – j.martin@ilsf.org – who will arrange for it to be added to the list.